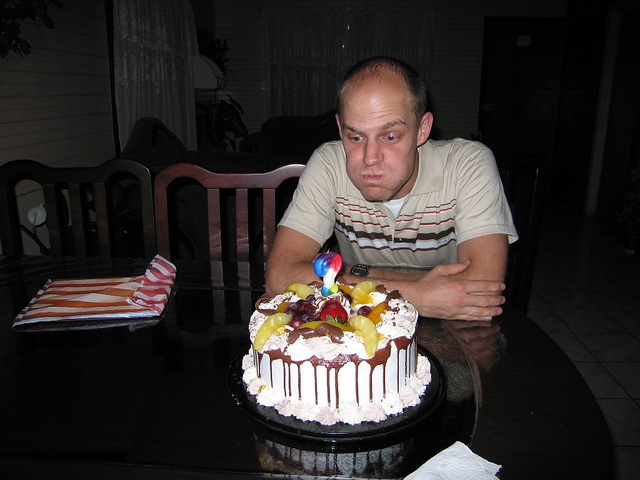 This is just a stock picture of me blowing a candle out on a cake. It’s not even recent; I think it’s from 2007 or something. But the point is this: Cake, and Monumental Occasion. As I was logging in to Blogger to write a new post, I just realized that my last post on Sitzblog was my 800th post! That’s pretty amazing, especially considering that when I started this blog in 2006 or whenever, I didn’t technically know what a blog was, nor did I have any idea what I’d end up doing with this one. And I guess I technically still don’t know, but I would like to thank anyone who’s read this blog along the way, whether you’ve done so consistently or coincidentally. I appreciate your support, and it’s readers like you that make this whole thing more than just a glorified digital journal. In any case, here’s to at least 800 more posts–thanks again for reading! This entry was posted in 800, Monument, Post, Sitzblog by Sitzman. Bookmark the permalink.